Tens of thousands of calves which are taken away from their mothers in the days after they are born die in the first year of life and the death rate is getting worse, the Volkskrant said on Monday. In 2015, 13.3% of registered calves died within 12 months of being removed from their mothers – a total of 350,000 animals, the paper said. In 2009, the death rate was 9%, a figure described at the time by animal health experts as too high. Most calves are taken from their mothers within three days of birth and the males are almost always sold on to beef and veal farmers. 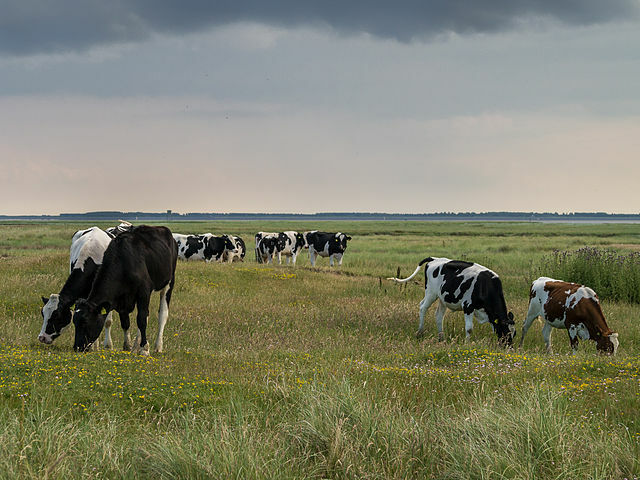 Animal rights organisation Dier & Recht said the care of newborn calves may have been affected by the increasing size of dairy farms in the Netherlands. ‘As farms get bigger, there is little attention for individual calves,’ said vet and Dier & Recht spokesman Frederieke Schouten. The lobby group wants dairy cooperative Friesland Campina to put pressure on its farmers to try to stop so many calves dying.